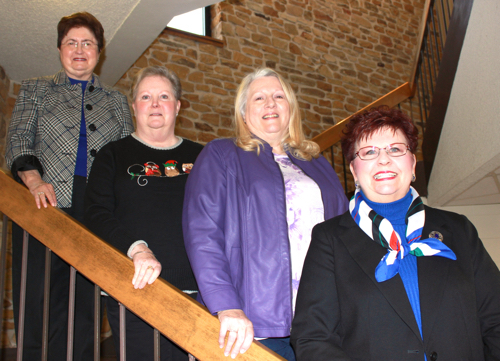 The Vigo County Retired Teachers Association has four officers including a President, President-Elect, Secretary, and Treasurer. The primary officers in addition to the immediate Past President constitute the organization’s Executive Committee. The VCRTA officers for the remainder of the 2018-2019 fiscal year include (left to right): President – Millie Vaughn, President-Elect – Brenda Walls, Secretary – Ann Bartley, Treasurer – Linda Afdahl, and Past President – John Gettinger (not pictured). Officers generally serve throughout the association’s fiscal year which is June 1st to May 31st the following year. Any VCRTA members interested in serving as an officer or on a committee should contact any of the current officers or reach out through our Contact Us page to express your interest.